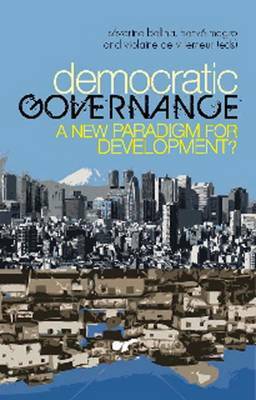 'Governance' has become a key word in the lexicon of international relations over the last twenty years. It is used, loosely, and invariably in a liberal idiom, by scholars, activists, civil society organizations, politicians and the voluntary sector. In many respects it has attained the status of a fetish, yet 'governance' remains a notion that has multiple definitions, a concept in-the-making. Notwithstanding the imprecision with which the term is employed, it has become an inescapable paradigm for the politics of development. The contributors to this book, drawn from among some of the world's best area studies specialists, from North and South, offer a diverse global critique of 'governance' as deployed in several key areas: institutions and state actors; the rule of law, democracy and human rights; decentralization and state power; development and, last but not least, international cooperation and the role of the World Bank, the IMF and NGOs. The geographical spread of the volume ranges from Africa to Latin America, from Asia to the Middle East. Their objectives include: a reassessment of 'governance' in its many manifestations; an attempt to free the term from its often unhelpful linkage to the state, and thereby apply it to other organizations and actors; a re-evaluation of the Western-dominated use of the term politically and an attempt to broaden its application beyond issues such as transparency and the fight against corruption; and a search for innovative applications of the term, driven by a consensus that transcends current economic and political inequalities.